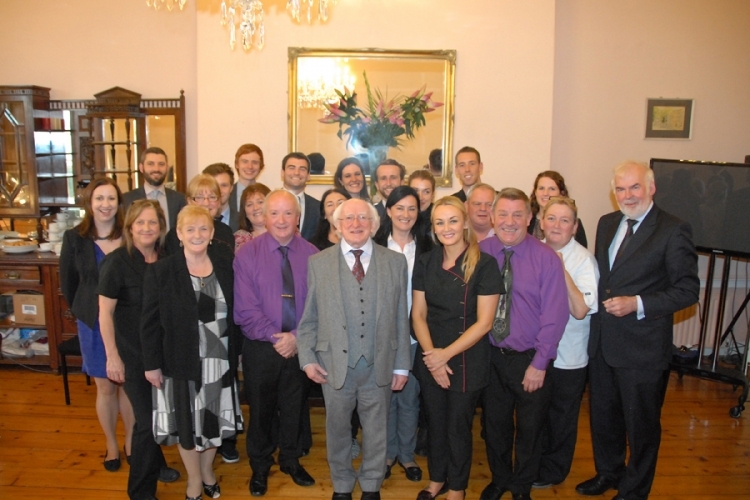 The 2018 MacGill Summer School focused on “The Future of Ireland in a New Europe: The challenge Ahead”. 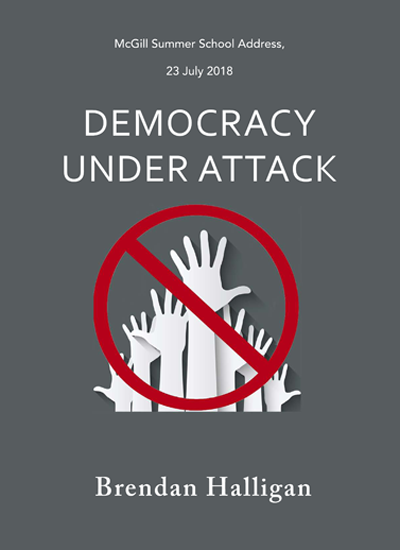 As is the practice, the published programme set down the background to the session and said that little was being heard in day to day discourse of the Union’s record on human rights and its defence of freedoms and and this was happening at a time when democracy itself was under attack.The programme went on to say that Europe was threatened within and without by extremist ideologies, aggressive regimes, discrimination and the rejection of democratic values. 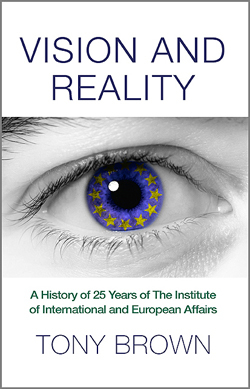 It consequently argued that the need for a strong Europe had never been greater. 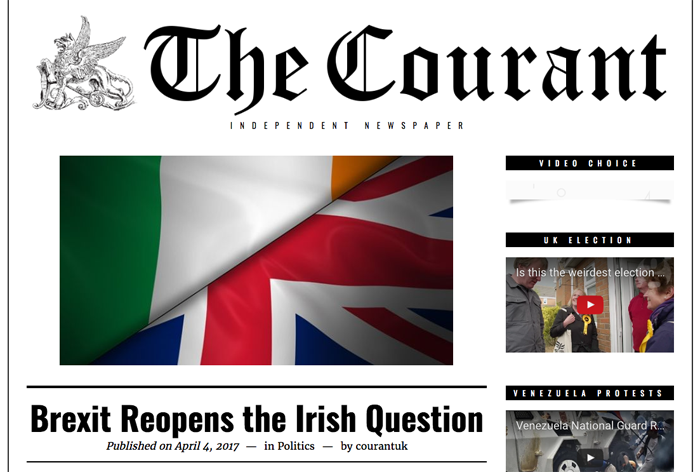 This paper opened the session on European values and took as its theme the organisers’ belief that democracy was under attack and clearly in peril. 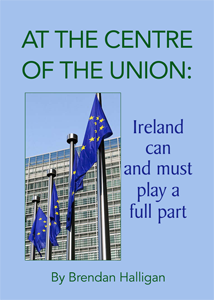 Following the speech by British Prime Minister Teresa May on 17 January, 2017, Brendan Halligan gives an update and analysis as part of the IIEA’s Status Report event the following day. A new version of Capital City Dublin 1974-75, a film by Brendan Halligan and Jim Mulkerns, was launched last Saturday, 5 November at the Irish Film Institute, and will be screened weekly as part of the Institute’s “Archive at Lunchtime” showings throughout the month of November, 2016. The previously unreleased short film was made just over forty years ago, when Dublin looked more like a post-war European city in 1946 than a nineteen-seventies European capital. 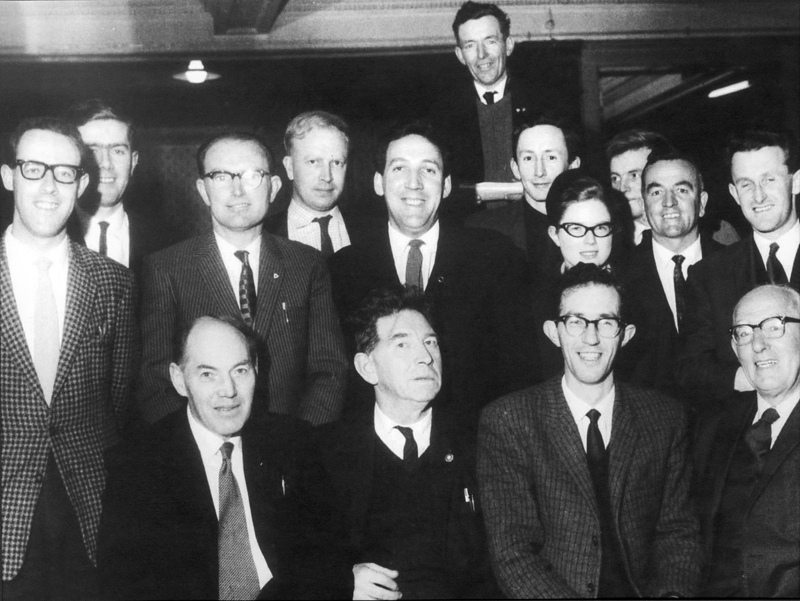 As Secretary of the Irish Labour Party in 1969, Brendan Halligan had originally commissioned independent film maker Jim Mulkerns to film the city as part of footage to be used for party political broadcasts. 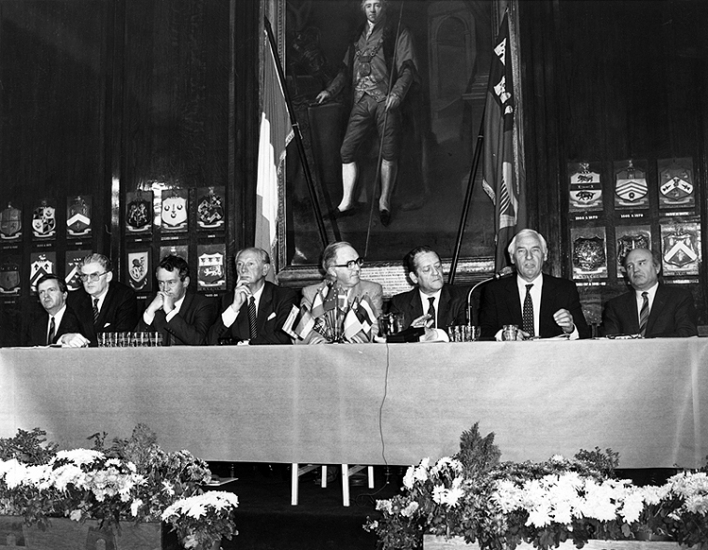 After filming more material for another party political broadcast in 1973, following which Labour came into power in the National Coalition Government, they worked together to produce a documentary, to show various public authorities with the idea of letting the images speak for themselves and prompt action. 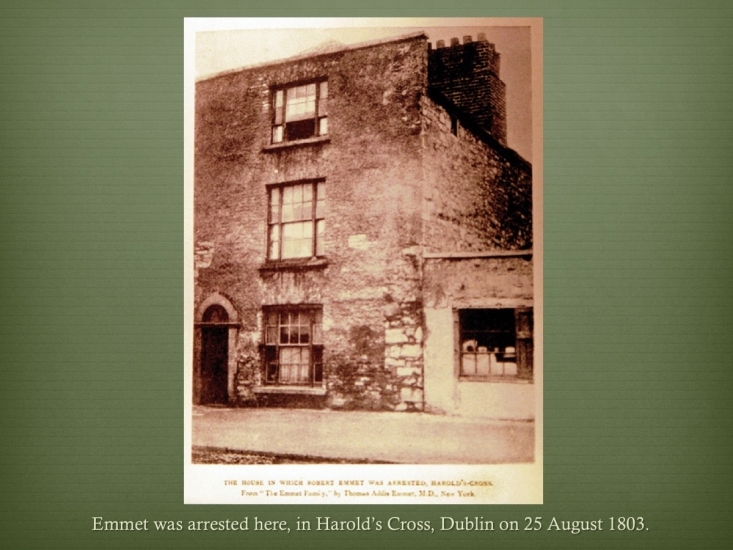 For many years the film existed in silent celluloid only, under the preservation care of the IFI Irish Film Archive. 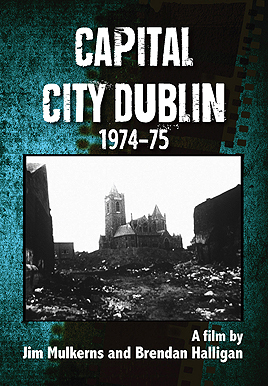 Then, on the film’s fortieth Anniversary, Sunniva O’Flynn and Raelene Casey of the IFI Irish Film Archive facilitated conversion of a digital copy of Capital City Dublin 1974-75 for Scáthán, Halligan’s own publications and media imprint. Design and technical production on a new DVD edition was undertaken by Jim Mulkerns’s daughter Helena, whose company Cyberscribe created the 2016 titles and look. Next came a new original soundtrack from musician Josh Johnston, who had previously worked with the IFI Irish Film Archive as a live accompanist for screenings of his Grandfather Denis’s film, Guests of the Nation. His score lends a haunting new aspect to the film. 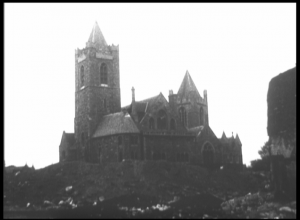 The film with its new score will be screened alongside two other short films by Jim Mulkerns – An tOileánach a d’Fhill (1970) and Ireland Invites You (1966), as part of the Lunchtime Archive Screenings at the IFI throughout the month of November 2016. 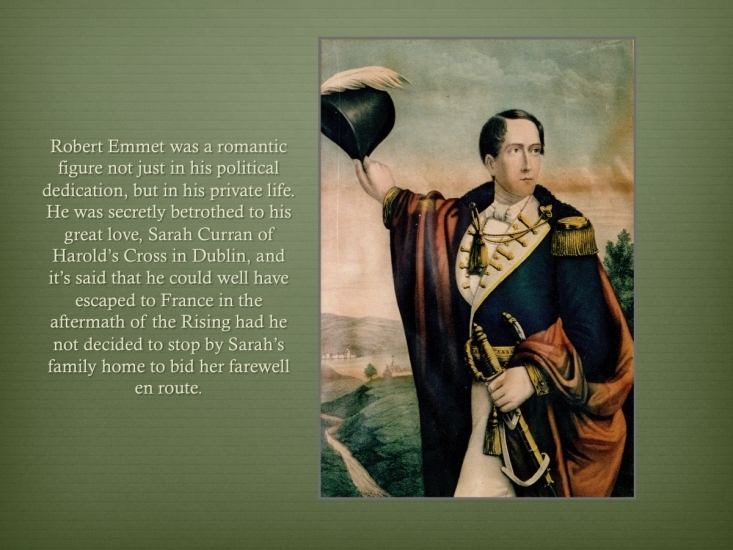 The film can be purchased direct from Cyberscribe or at the film shop on the premises of the Irish Film Institute, Temple Bar, Dublin (01-679-5727). To watch the film exclusively on this website, click here. 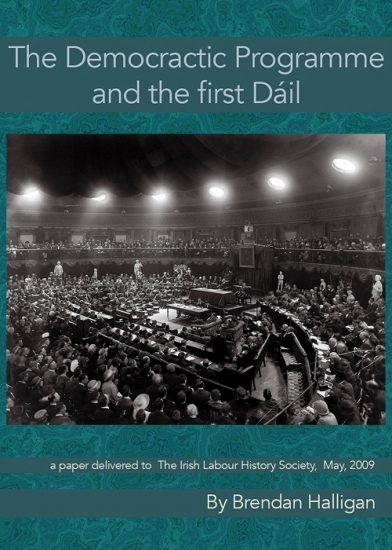 Marian Finucane: … but first … a political story of particular importance to women. 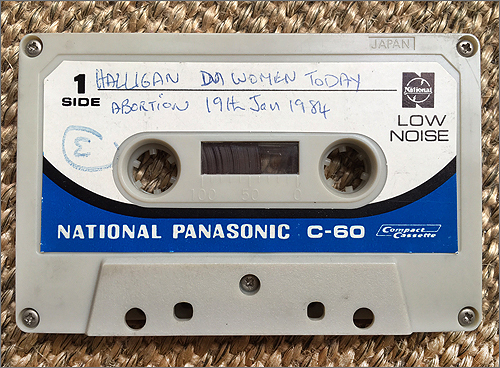 This week, for the first time, an elected representative of one of the three main political parties went on record as supporting the introduction of abortion into this country. The politician is Labour Euro MP Brendan Halligan, and he took the step when he voted in the European Parliament’s Debate on Women in Strasbourg on Tuesday. 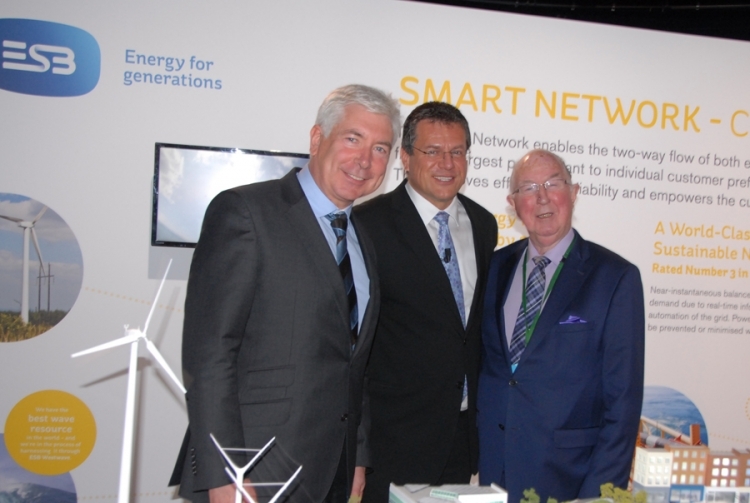 His action is likely to cause him problems within his own party and is something bound to come up at the Euro elections in June. But this was only one amendment in a debate on women that was far-ranging and in the main constructive. Brendan Halligan, you are hot off the plane from Strasbourg having been at the Debate on Women of the European Parliament. How would you describe what took place there? 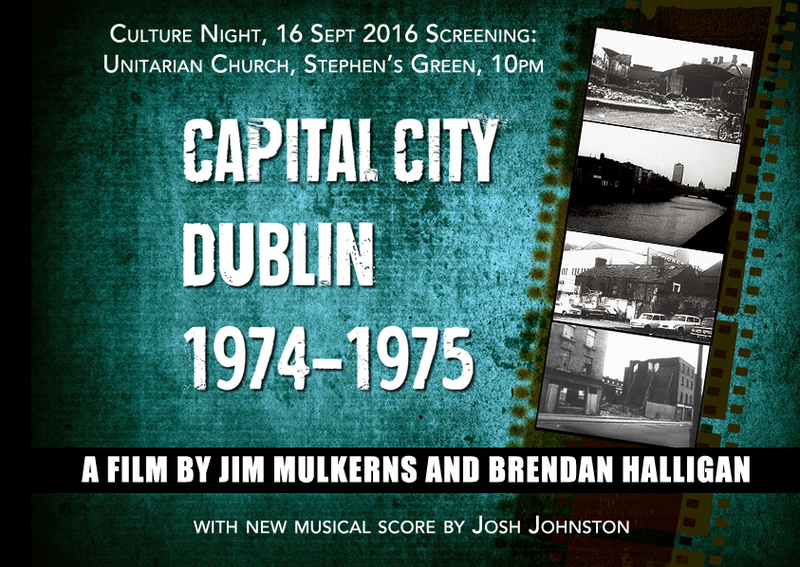 A new version of Capital City Dublin 1974-75, a film by Brendan Halligan and Jim Mulkerns, will have a special advance-launch screening as part of Ireland’s Culture Night, on 16 September, 2016. 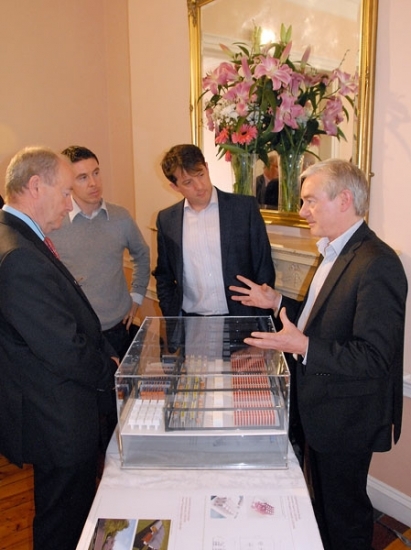 For many years the film existed in silent celluloid only, under the preservation care of the Irish Film Archive. Then, on the film’s fortieth Anniversary, the idea of a creating a new version of the film came about. 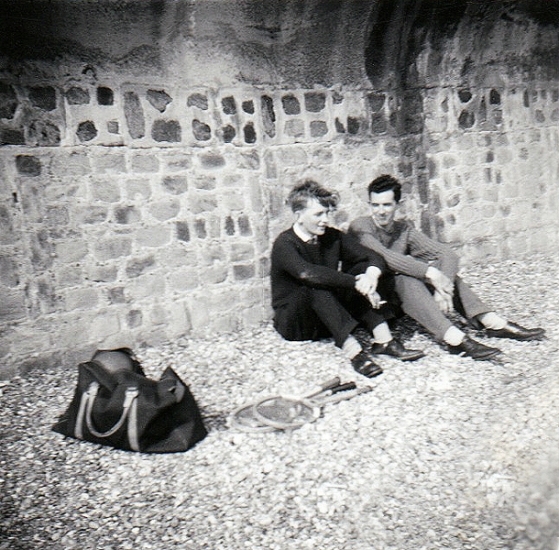 Sunniva O’Flynn and Raelene Casey of the Irish Film Archive facilitated conversion of a digital copy of Capital City Dublin 1974-75 for Scáthán, Brendan Halligan’s own publications and media imprint. Design and technical production on the project came from Jim Mulkerns’s daughter Helena, whose company Cyberscribe created the 2016 titles and look. Next came a new original soundtrack from Dublin musician Josh Johnston. Johnston, who had previously worked with the Irish Film Archive as a live accompanist for screenings of his Grandfather Denis’s film, Guests of the Nation. With a launch and select distribution of the DVD to take place in the coming months, this special screening for Culture Night, 16 September 2016, will take place at Dublin’s Unitarian Church on Stephen’s Green at 10pm.